December 21st, 2014. The first of the winter’s big projects, in the shape of a new e-book, is nearing its conclusion. “You are not a photocopier! 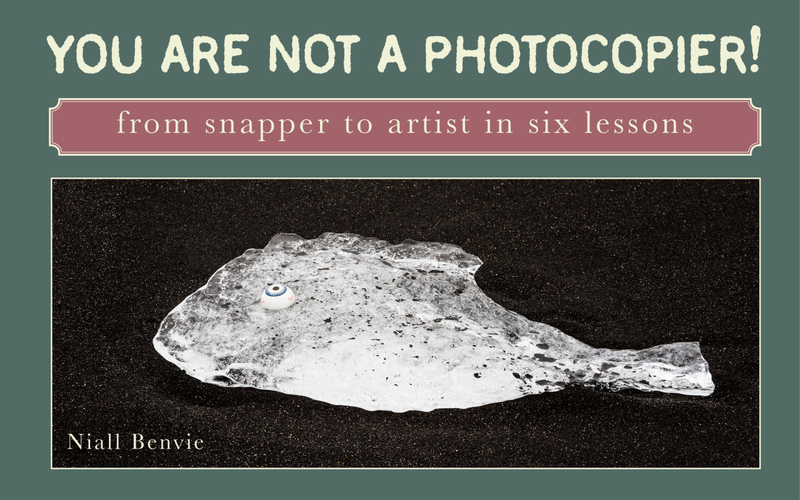 From snapper to artist in six lessons” is an elegantly designed, 74 page high resolution interactive pdf that should be ready for release in early January. It takes as its premise my belief that “art need be no more complex than the effective communication of ideas and feelings” and shows the reader a variety of often unconventional approaches to “get their voice heard” above the din of generic imagery. It is displays best on a large monitor or laptop and the images can stand a lot more zooming in than standard ebooks. We’re offering it in two versions; high and very high resolution, depending on how “deep” you want to get into the pictures. It’s an immersive experience, with lots of links to other photographers, equipment manufacturers and other references. Why the delay? Well, the EU has recently introduced some very tricky new regulations pertaining to the sale of digital products so I’m working to implement a new online selling site that allows this to be dealt with easily. I’ll let you know when its available. Saw it promoted in Outdoor Photography.